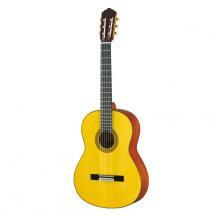 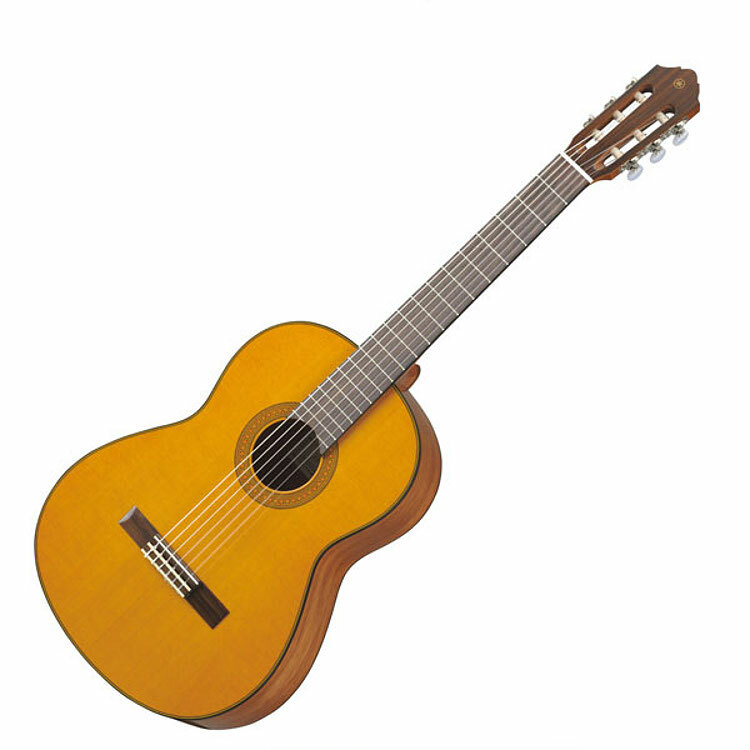 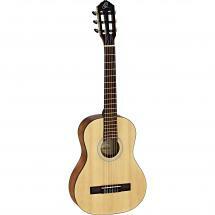 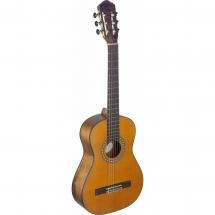 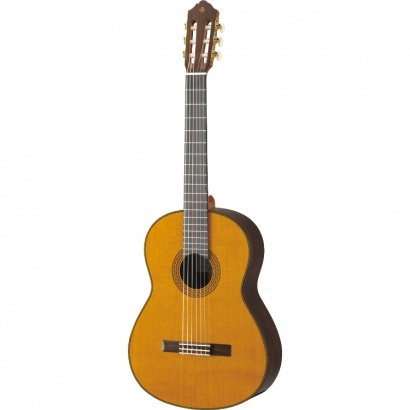 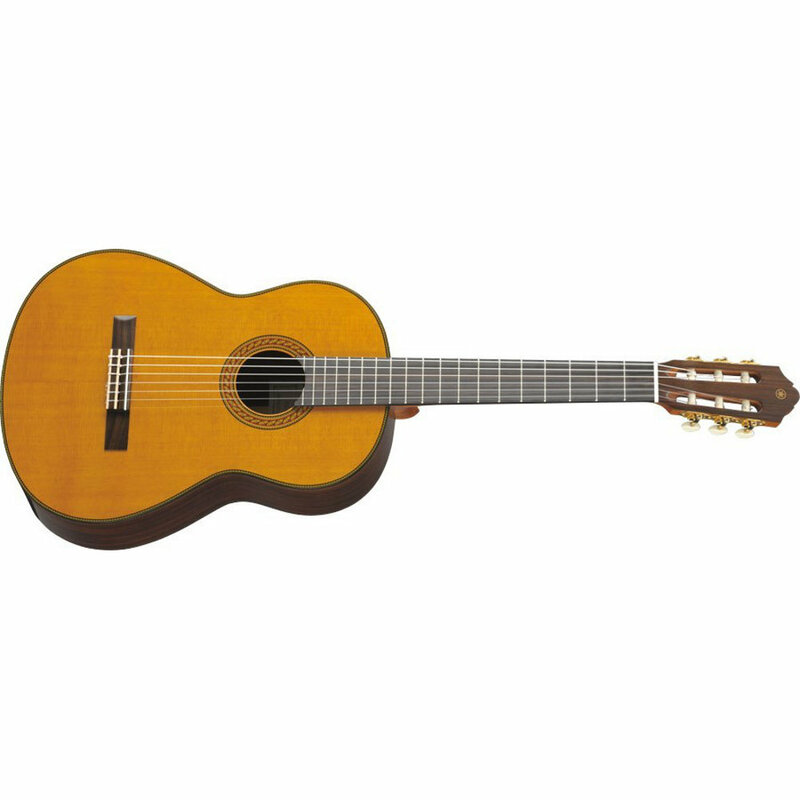 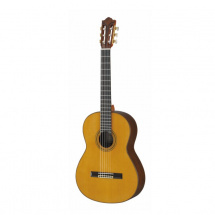 The Yamaha CG192C classical guitar in natural is music to your ears with its warm, deep sound. 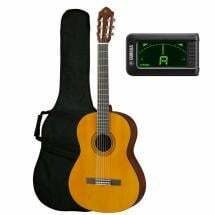 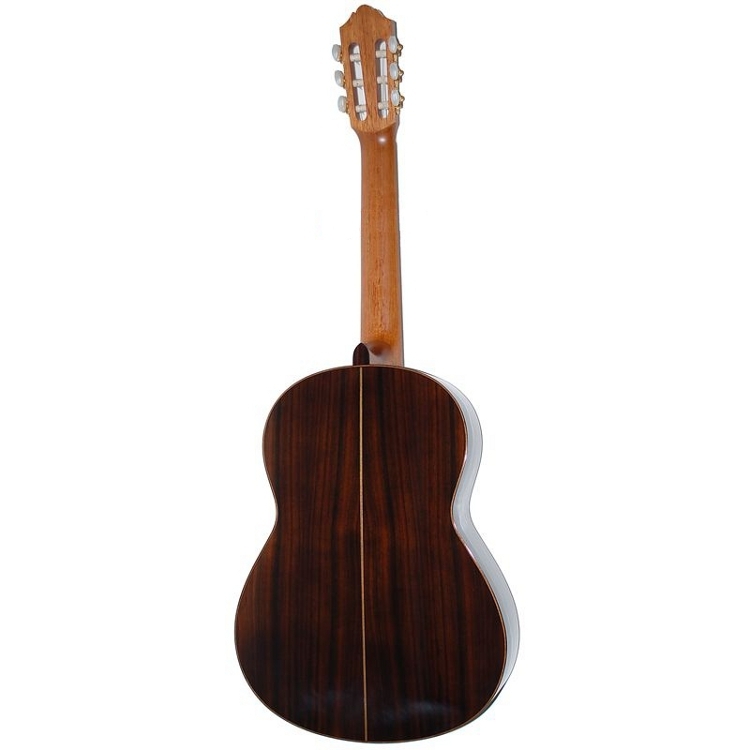 The solid top of the nylon-string acoustic guitar is made of cedar, and is paired with an ebony neck and rosewood sides and back to form a body that is well-constructed to deliver a full, strong sound. 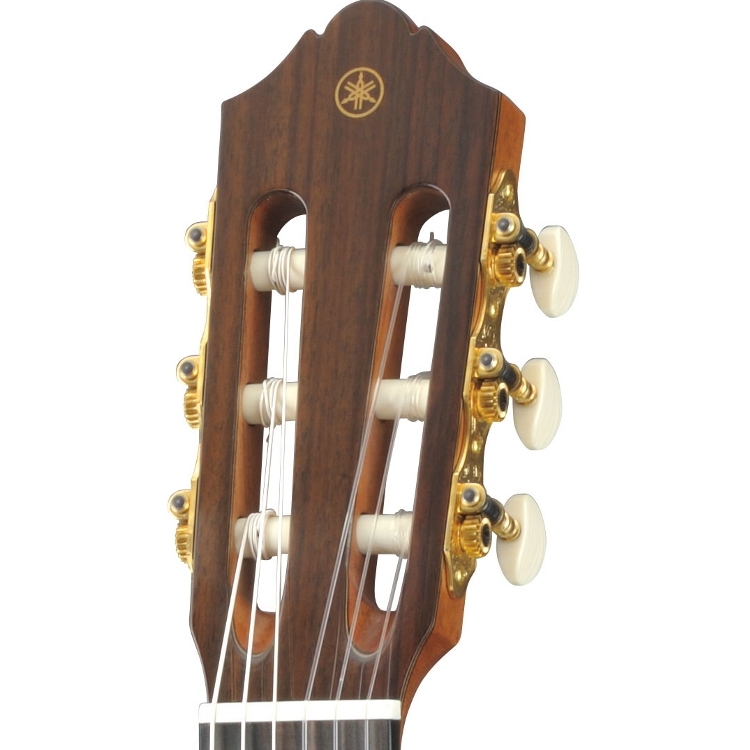 The CG192C is the picture of ergonomic user-friendliness with its low string height that won't make you press down on the strings too hard. 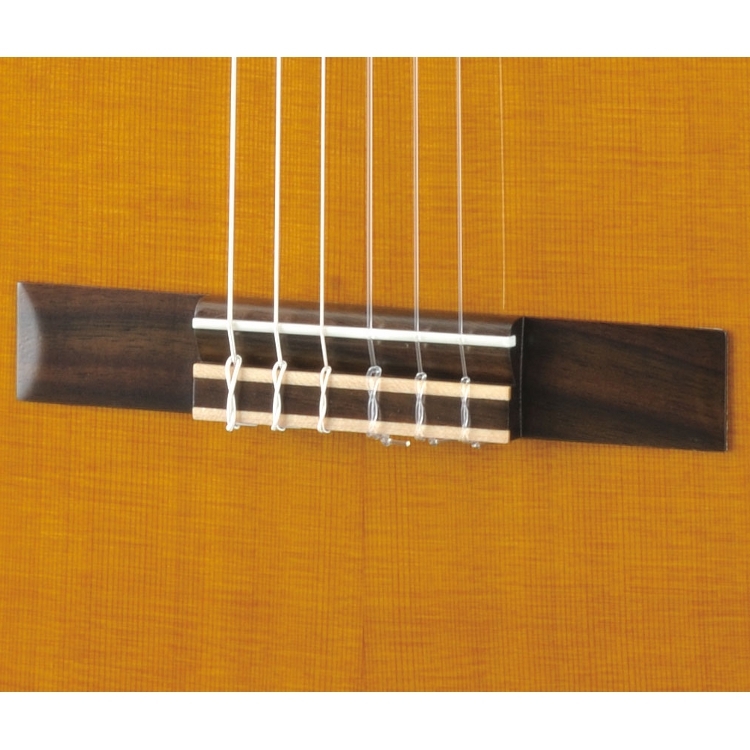 The matte finish of the back of the neck adds to your easy playing experience giving you excellent grip every time you pick up your new guitar. 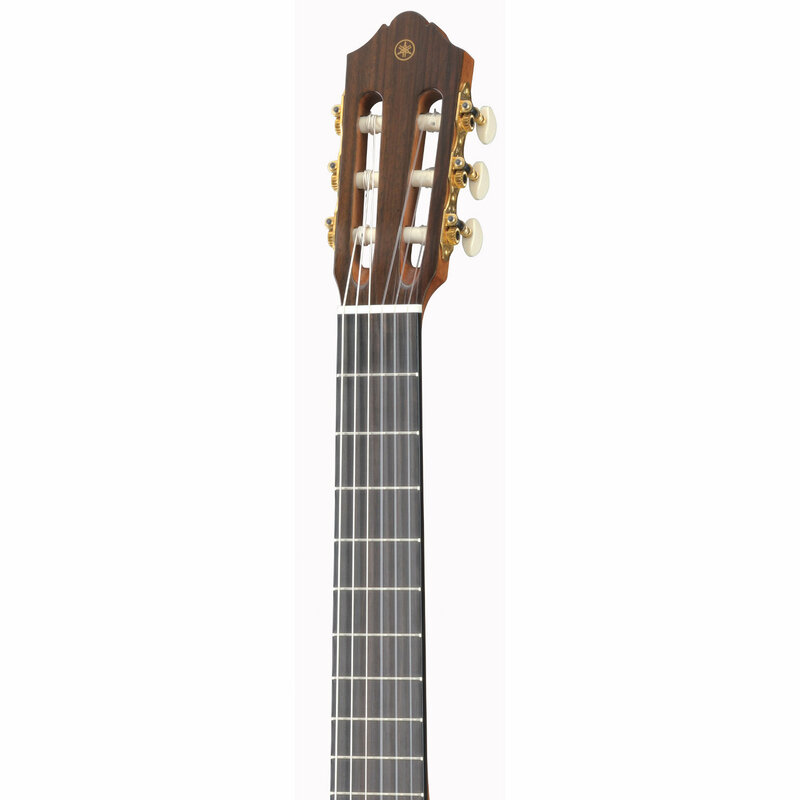 Don't worry if you have large hands either, because the ebony fretboard is nice and wide. 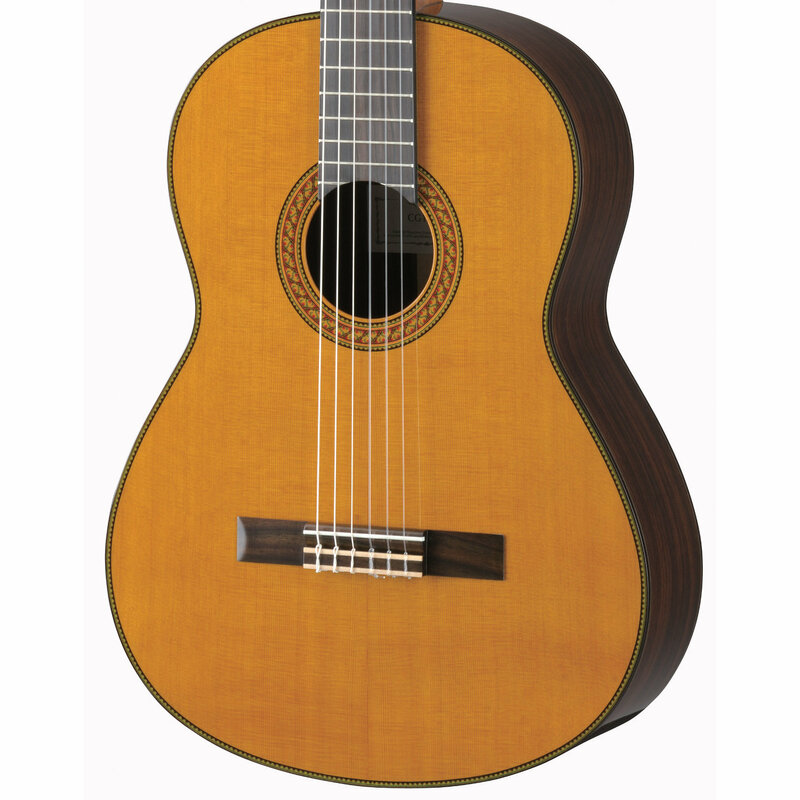 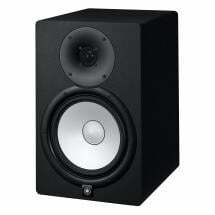 The Yamaha CG192C in natural is a real eye-catcher with its richly detailed finish. 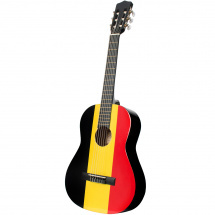 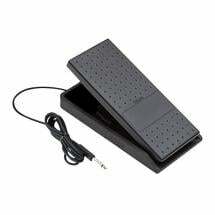 The top features high gloss lacquer, attractive binding around the edges, and a sound hole rosette to complete the frontal view. 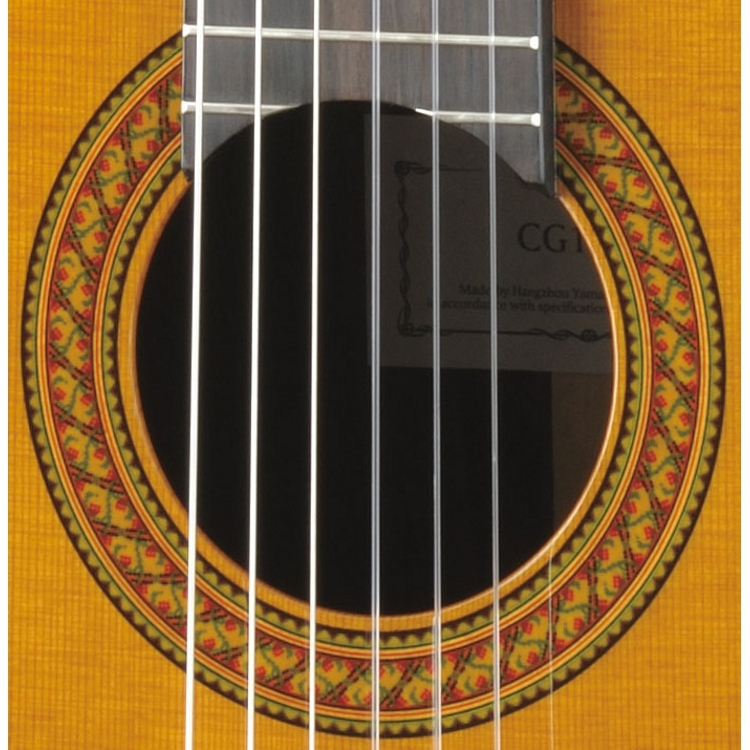 A maple inlay decorates the bridge and even the back has a decorative inlay, and the gold-plated open tuners were constructed with the utmost care.